TPSpro Risk Manager Panel is a convenient tool for anyone who wants to keep track of the current account state. 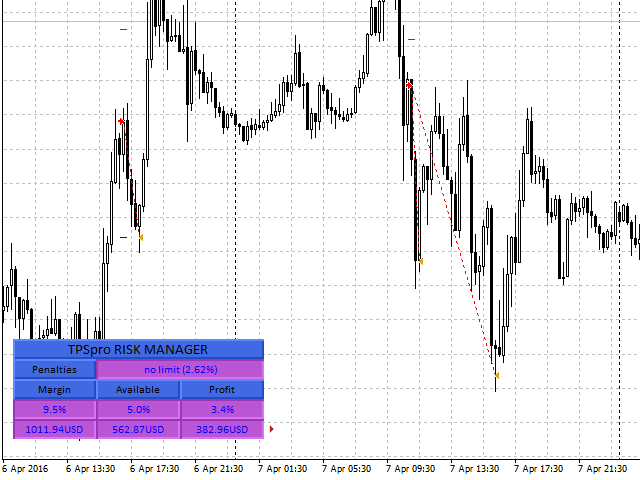 The panel is part of our risk management system, and is included into our more powerful product TPSpro Risk Manager. The panel has three columns containing useful information. The first column contains the information about the account state as of the beginning of the month, i.e. the overall result is shown as a percentage and in the deposit currency. The second column shows the daily risk specified in the settings. The third column shows the current account state. The Penalties column shows the penalty time if any (twice the maximum daily loss). 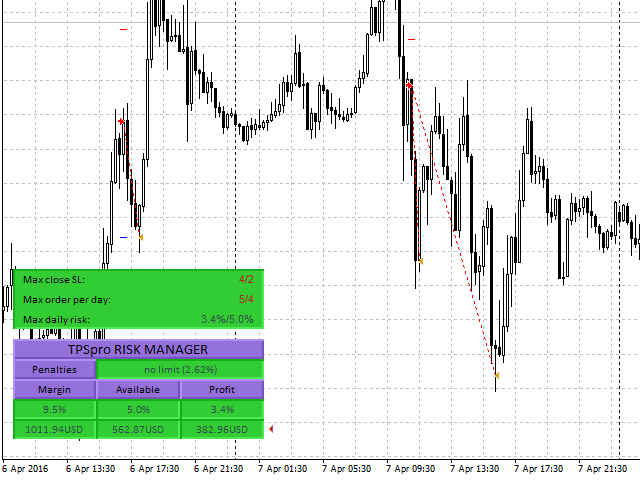 Max daily risk - the current profit/loss percent and the maximum allowed loss value (%), set in parameters. The window can be maximized and hidden by clicking on the small triangle to the right of the column with the display of the current profit in the deposit currency (see. screenshots attached). 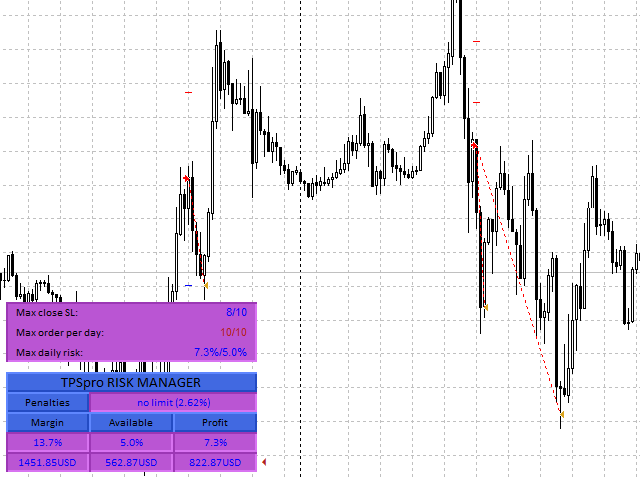 TPSpro Risk Manager is a multucurrency indicator Run it on one symиol chart! The panel has flexible configuration, so everyone will be able to set the best color, font size, and so on. Show InfoPanel? - display of information on a chart? For any questions please pm me or ad a comment.